PHP 5.6 or higher (preferably PHP 7.0), with mbstring, pear, mcrypt, JSON, mysqli and GD PHP extensions enabled. PHP 7.1 is not supported on the current community edition release. Apache web server 2.2 or higher compiled with mod_rewrite module and AllowOverride set to ‘All’ (please note, the default setting for AllowOverride in Apache 2.3.9 and higher is ‘None’). This install guide assumes that Apache and MySQL/MariaDB are already installed and configured on your virtual server. Let’s start with the installation procedure. Do not forget to replace ‘y0uR-pa5sW0rd’ with a strong password. That is it. Observium has been installed on your server. 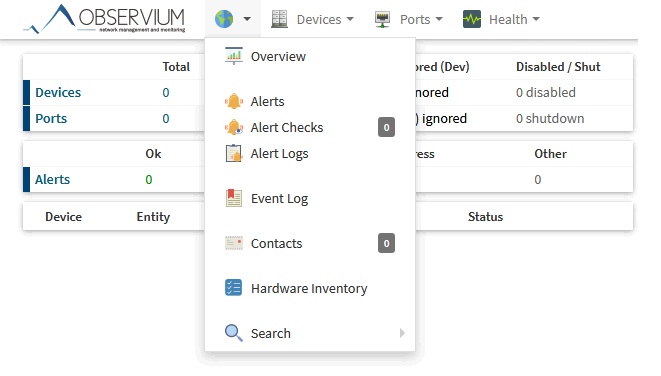 Of course you don’t have to install Observium on Debian, if you use one of our Outsourced Hosting Support services, in which case you can simply ask our expert Linux admins to install Observium on a Debian 9 server, for you. They are available 24×7 and will take care of your request immediately. PS. 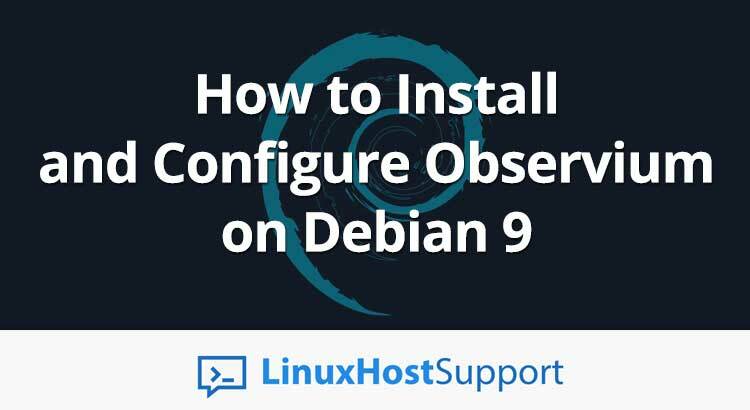 If you enjoy reading this post on how to Install Observium on a Debian 9 server , feel free to share it on social networks using the shortcuts below, or simply leave a comment.